If there's one product from the last year that's managed to capture the attention of just about everyone in the tech arena, it's Pebble. Between the somewhat tenuous underdog status of all Kickstarter projects, a general swell in "wearable tech" interest, and months and months of frustrating delays, it's proven to be even better fodder for bloggers than speculative hardware backers. Finally, 8 months after being successfully funded (and four months after the initial ship date) I've got one sitting on my wrist. 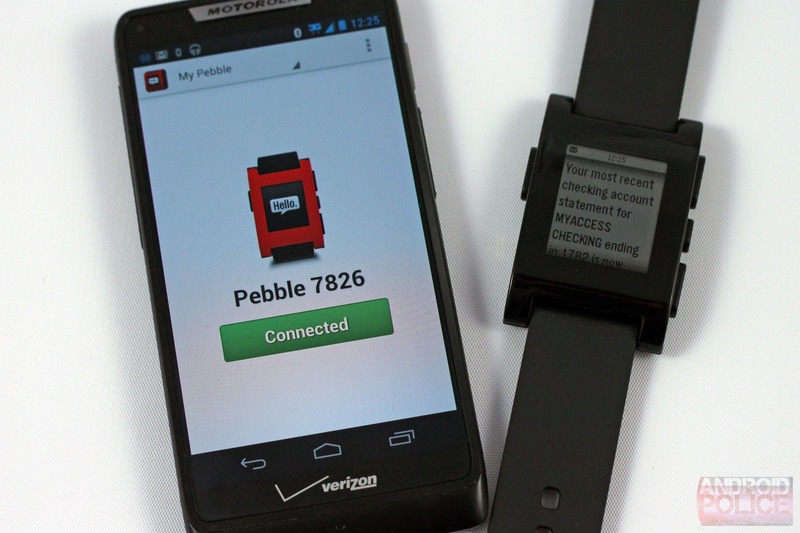 So, is Pebble worth the wait? Putting aside the fact that the wait isn't over yet (most Kickstarter backers are still waiting, and it'll be a couple of months at least before you can buy one outright) the answer is a resounding "maybe." While there are some serious deficiencies in the design of both the hardware and software, the idea and the execution of Pebble are solid. And compared to other smart watches, Pebble wins thanks to what it doesn't do - it's the rare product where less really is more. Does that make it worth the $150 asking price that it will eventually reach? That's a tough call, and it will likely come down to what you want out of a computer sitting on your wrist. 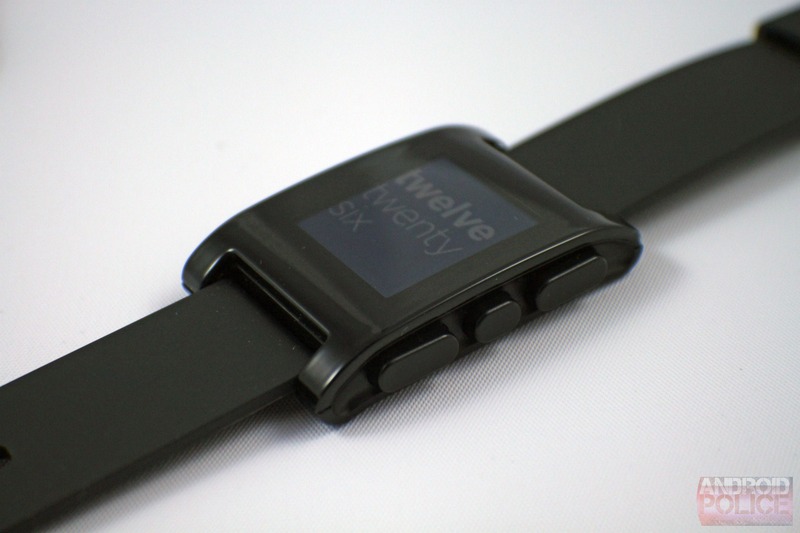 The design of Pebble is startlingly simple. If it weren't for the massive amount of media coverage, I wouldn't be surprised to see it in a department store sitting next to the old Casio Databanks. A full plastic body wraps around a 1.26-inch screen - a black-and-white "e-paper" panel with a backlight built in. The four plastic buttons are the only way of directly manipulating the Pebble: Up, Select and Down on the right side, and a Back button on the left. Below the Back button on the left side is the charging port, a pair of pogo plugs flanked by magnetic snaps. Around back you get the usual legalese and FCC emblems, along with a serial number and "Kickstarter Edition" for backers. Interestingly, the back panel is matte plastic instead of glossy. 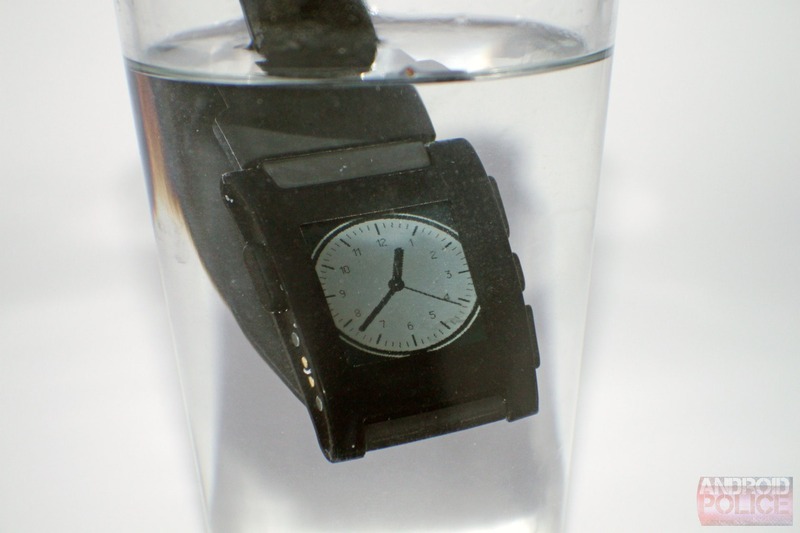 There is no way to access the battery thanks to the watch's 50m waterproof design. A black silicone strap matches the black face (several other colors are available), with fittings that should be good enough for just about everyone. The 11mm height of the watch body puts it comfortably between a dress watch and a chunky G-Shock digital, and it's notably slimmer than offerings from Sony and WIMM. 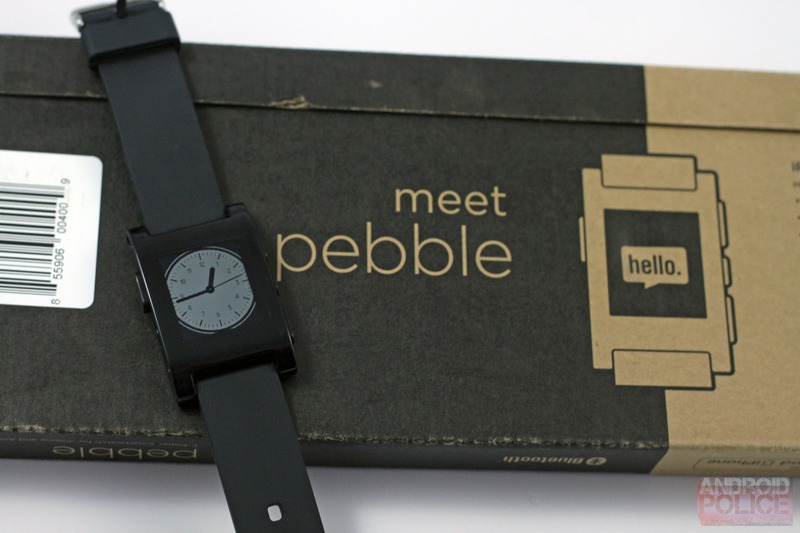 If you're being kind, you could call the Pebble's aesthetics utilitarian. If you're not being kind, a whole range of opportunities for abuse become available, up to and including "this thing looks like something I'd get in a Happy Meal." 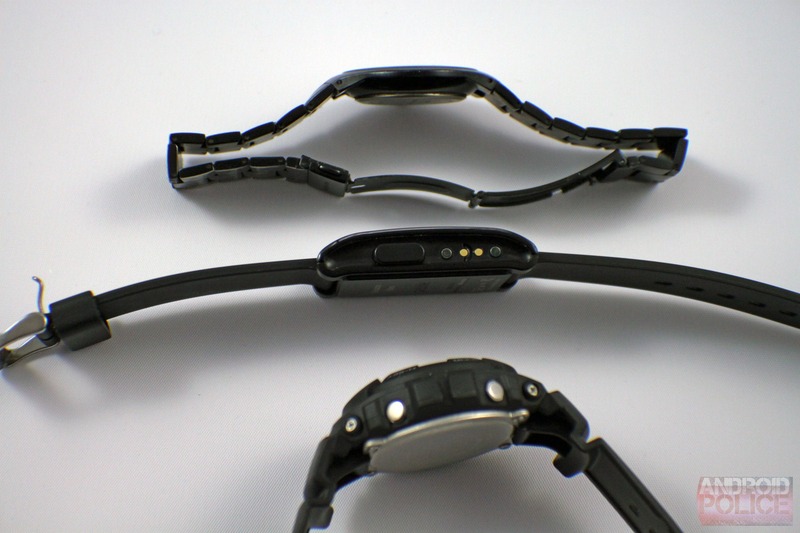 Glossy plastic and a silicone band (which I'm told is swappable with any 22mm band, but I sure can't figure out how) make it look undeniably cheap. It just doesn't look like a modern product, let alone a $150 watch. Maybe it's a bit much to expect jaw-dropping visual design from a company with just one other product under their belt, but the fact remains, you'll feel strange wearing this thing with a sportcoat or dress. 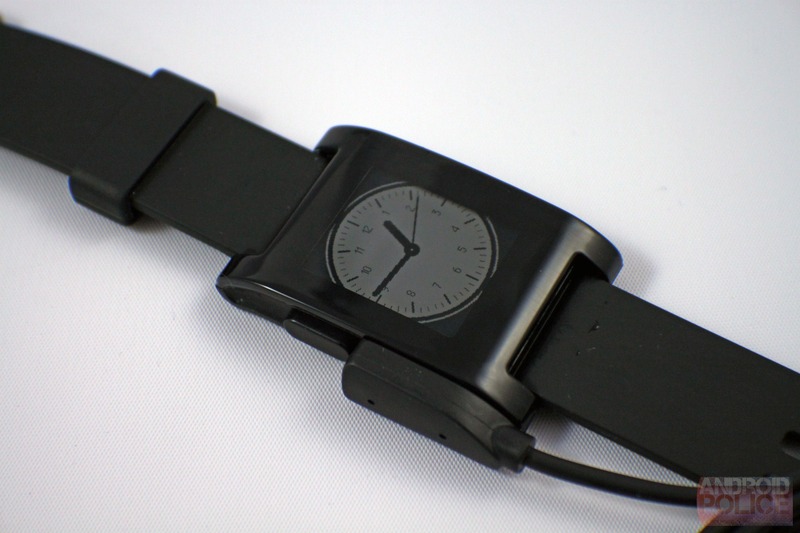 All that being said, the cheap looks of the Pebble doesn't mean that the watch itself is flimsy. On the contrary, there's not an millimeter of give or flex in the casing, and it feels like I'd have a hard time doing real damage to the watch with anything less than a hammer. While the glossy face seems like it would be easy to scratch, a little nerve-wracking experimentation with a glass of water shows that the waterproof casing is the real McCoy. Interaction with the Pebble couldn't be easier. 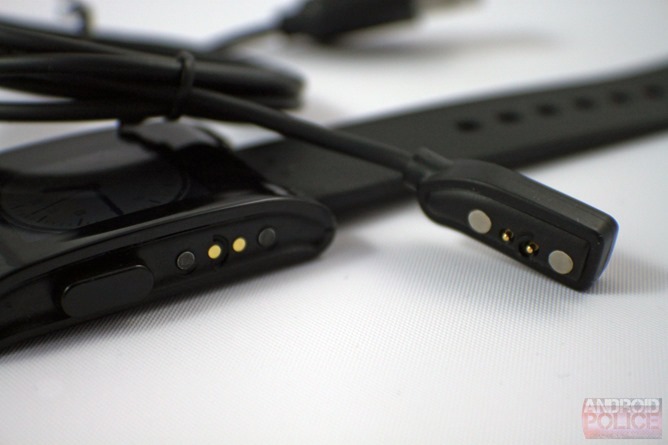 The buttons are a bit stiff, which is actually a plus, since it will prevent accidental activation on your wrist. The screen is clear enough, though the plastic casing has some distortion. Activating the backlight (any button press or a quick flick of your wrist to engage the accelerometer) takes care of that. In direct light or darkness the readout is easy to see, though the "viewing angles" are somewhat limited by the clear plastic. The screen itself is surprisingly responsive to the animations of the watch software - it's more like using an old Palm Pilot than the jerky refreshes of E-Ink. The spartan packaging is clearly inspired by the later Kindles, as it's a simple cardboard box with a plastic holster panel. 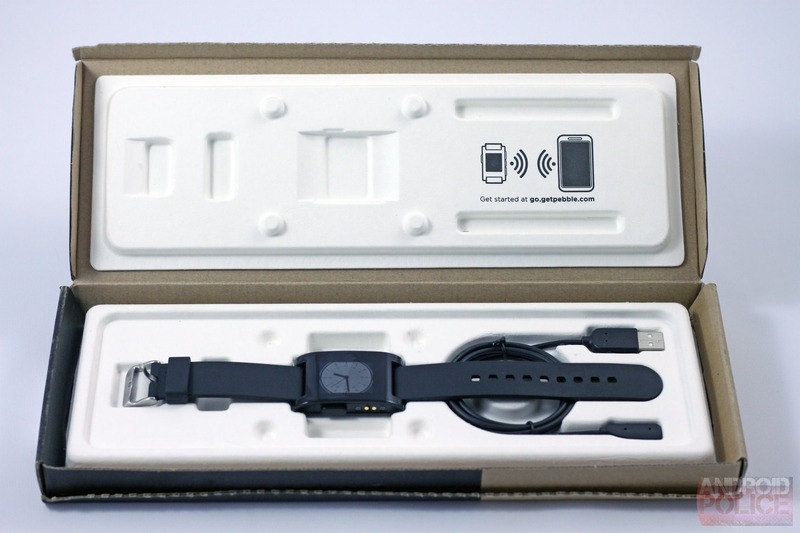 Aside from the watch itself, you get a USB charger cable with no wall wart, and a link to Pebble's website for setup instructions. The charger cable snaps into place on the watch itself, in a manner that will be familiar if you've seen Apple's Magsafe chargers in action. The Pebble by itself is a truly lonesome piece of tech. You get a few watch faces, an alarm function and a few settings, and that's it - not even a calculator or a calendar. The watch faces range from stylishly modern to dependably old-fashioned, though it will take you a while to get used to reading a screen if you're used to a mechanical timepiece. The Text Watch face is probably the most unique among them without venturing into the nigh-useless territory of novelty. 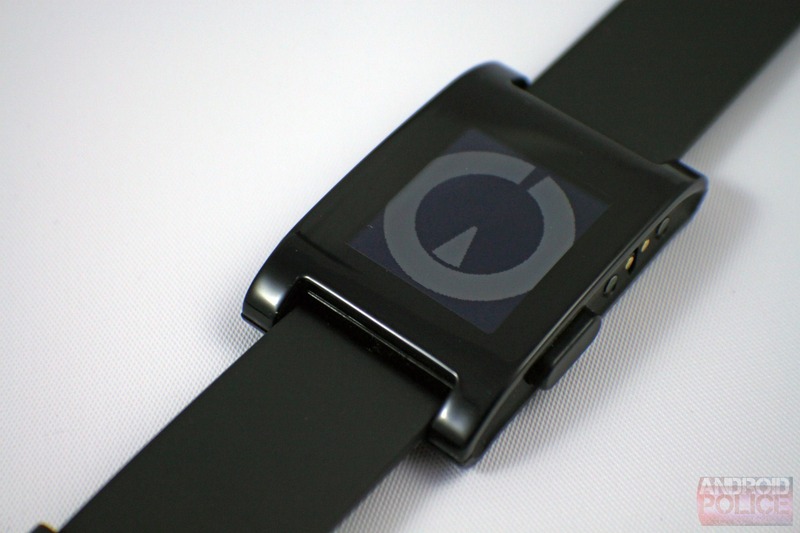 The watch only becomes useful once you pair it with the official Pebble app on your phone via Bluetooth. 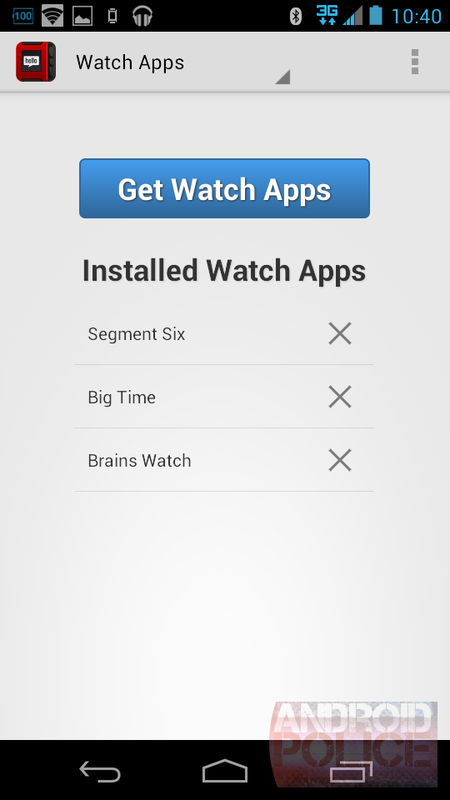 Once that's done, you can send apps and notifications to your wrist. 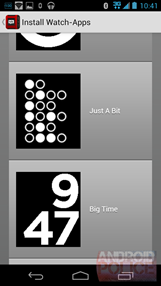 Well, "apps" is a bit generous - right now there are only more watch faces, but we're assured that more useful fare is on the way. Software updates and time syncing are handled by the app; you should never need to plug your watch into anything but a charger. But don't let it be said that notifications are lacking. 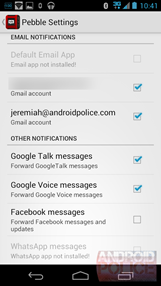 At launch, Pebble can alert you to calls, texts, emails from both the standard Android client and multiple Gmail accounts, calendar updates, Google Talk, Google Voice (yes! ), and Facebook. 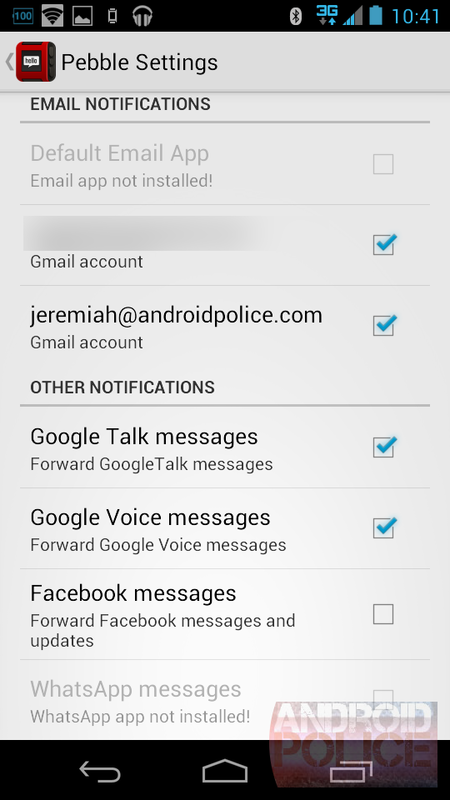 All of them are selective, so I can choose to get alerts for my personal email account and not my Android Police work account. When you get a notification, your watch will shortly vibrate and display the relevant message. Calls and texts fit neatly on the screen, but any email longer than "hi" will scroll using the buttons on the right side. Not far, mind you - after the sender and subject, you might get to see a sentence before you'll have to pull out your phone. Unfortunately, the Pebble will only display the latest notification, and the only thing you can do with it is dismiss it with the back button. So if your watch buzzes more than once, there's no way to see what you missed without, again, pulling out your phone. 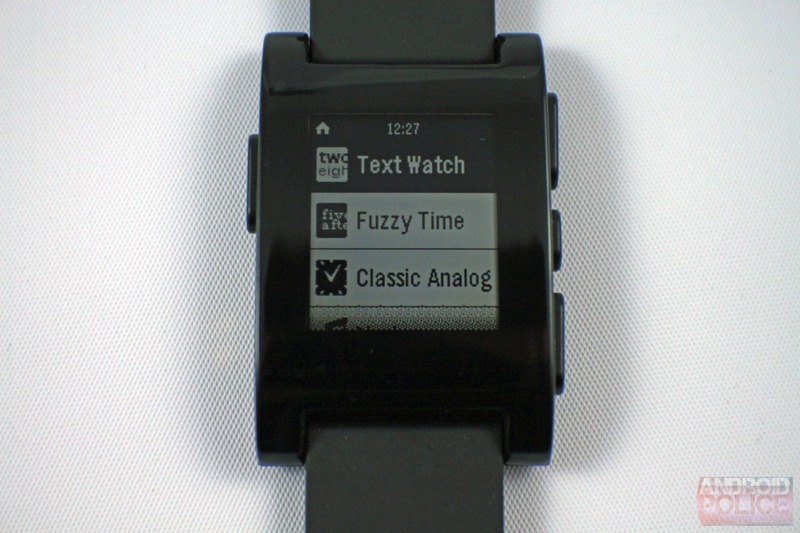 At the time of writing, the only other functionality the Pebble offers is music control. Open the Music app and you can see what's playing in the default Google Play Music app, and pause, rewind, or advance tracks. It's quite useful if you're exercising or out and about. It has to be said that this didn't quite work on my DROID RAZR M - while the music displayed correctly, it couldn't be paused or controlled. Since the Pebble was able to control my Nexus 7 and Galaxy Nexus just fine (including A2DP control apps like Pandora), I'm going to assume that this is a problem with Motorola's Bluetooth stack and not the watch itself. Overall, the software is easy to set up and use, and as a quick and discrete way of alerting you to incoming messages it works very well. I only wish there were more utilities available at launch - a calculator, a lap counter, a way of silencing my phone. There also needs to be an option to read entire emails, see a notification history, and to quickly return to a favorite watch face. At the moment you have to dismiss a notification then select a watch face again. 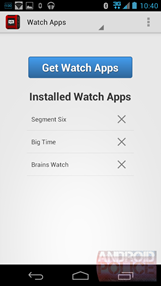 A long-press of the Back button should bring you to the last watch face. Software updates could, and hopefully will, address these problems. This isn't my first run-in with smartwatches. About a year ago I purchased a WIMM One, to the tune of regret and $300. Examining the differences between these two devices gives a great example of a design team that knows when to exercise restraint. While the WIMM was (and is) more powerful and capable than the Pebble in every way, from its color touschscreen to its WiFi radio, it's also larger, heavier, and much less appealing. The biggest problem with the WIMM isn't that it's trying to cram too many features into a touch interface an inch across, it's that all of these features add up to a battery life measured in hours instead of days. A watch that lasts less than 24 hours becomes a few ounces of useless plastic by the time the evening comes to an end. My WIMM now belongs to an eBay shopper, unless he's gotten wise and likewise sold it to the next schmuck in line. 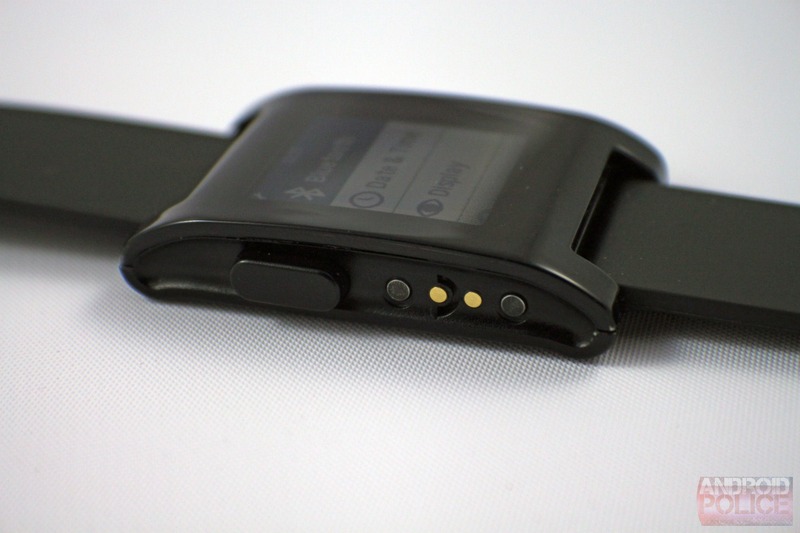 By contrast, the Pebble lasts for days on almost no charge at all. 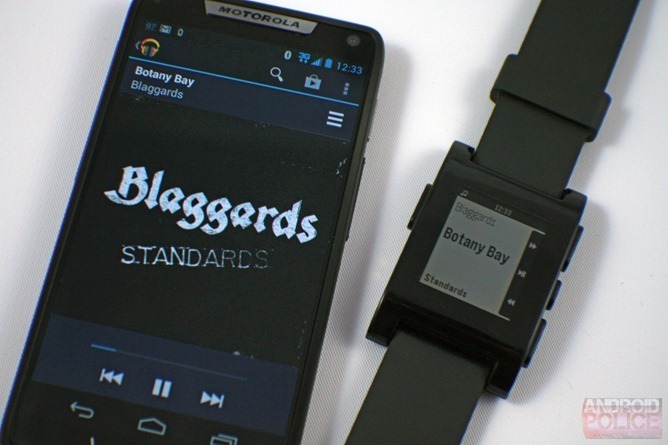 Thanks to low-power components, Bluetooth 4, and the e-paper screen, Pebble quotes the battery life at five days or more even when constantly connected. Since my watch has now been running for three days on a 90-minute charge, I'm not going to argue. For any mobile device, anything past 24 hours is a bonus. I only wish that the Pebble had a more persistent way of alerting you to a low power state - it more or less dies immediately after the battery runs down, with no warning. Another one for the update pile. So, how does all of this come together? 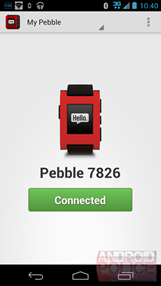 In its current form, the Pebble is basically a notification bar that detaches from your phone and sits on your wrist. Sure, there are music controls and changeable watch faces, but at the end of the day, it's a way to see if that email is important enough to stop what you're doing and reply on your Android phone. In this function, the Pebble is easy and discrete. It makes a great companion for class, the movie theater, or any social situation where actually pulling out your phone might be frowned upon. As a watch, it's hit or miss. 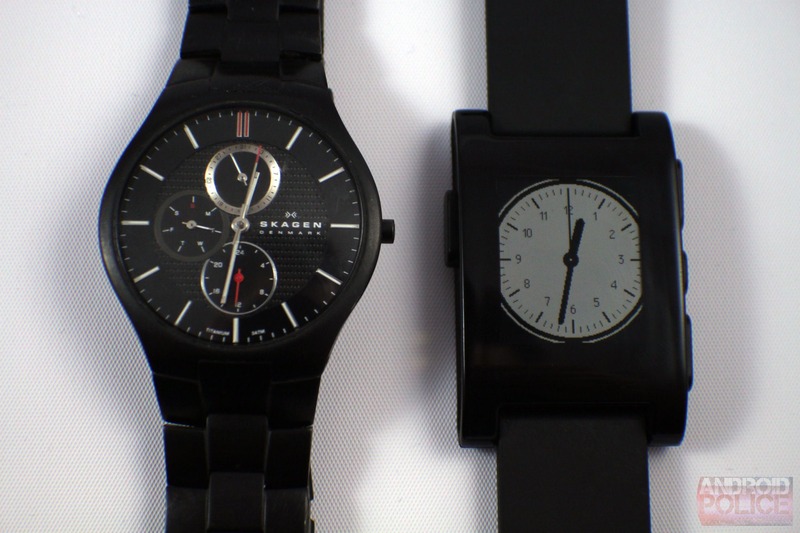 The design won't turn any heads, and there is only one watch face available with a second hand. That means that a device that's technically hundreds of times as complex as a Seiko only manages to match it for precision if one out of six watch faces is applied. That said, for people like me who just like to have a watch on their wrist, it works well enough. I'll also mention that the accelerometer trigger for the backlight is ingenious: it's a way to check the time in the dark almost instantly. 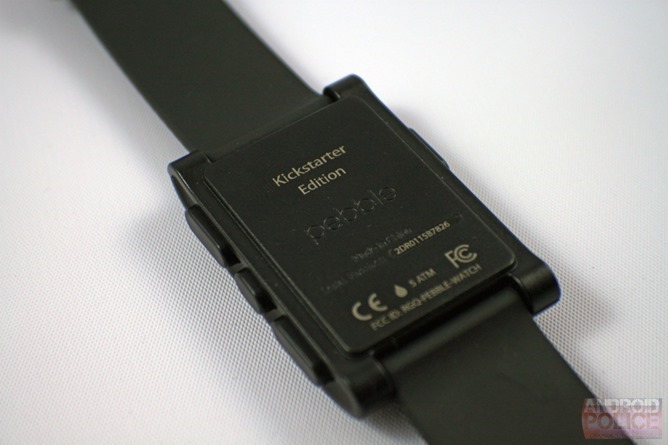 The real potential of Pebble, and any wearable platform like it, lies in the developer community. And unfortunately, it's hard to see that far into Pebble's future. While a few exercising apps from Pebble's creators and Runkeeper are already being planned, it remains to be seen how independent developers will take advantage of the hardware... and if the infrastructure will allow them to. (At least one developer isn't even waiting that long.) I'd hate to get into a situation where I need to root my watch to get the really cool functionality. 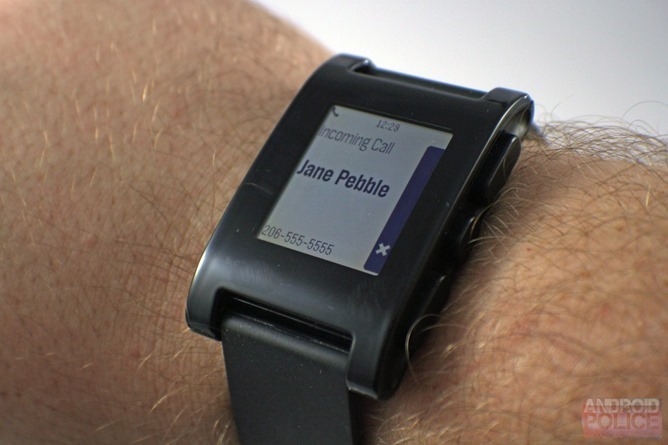 The Pebble was a solid enough idea that tens of thousands of people paid for it outright on a promise. And people who were that excited back in May will be more than satisfied with the result: the watch gets notifications, controls music, and the battery will keep going until the cows come home. I've come to rely on it for discretely checking communications - it's amazing how fast reaching into your pocket can become a chore. While the watch is downright ugly and feels cheap, it also feels like it could (if you'll forgive me) take a lickin' and keep on tickin'. For anyone else eager to put down their money, I would advise caution. 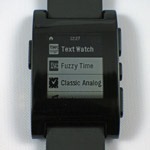 While the Pebble is OK as it is, with just a few software tweaks it could be much, much better. It may become a truly great piece of hardware if developers can catch the excitement that the device created in the general geeky public. And after a hardware revision or two, it could be a must-have. At the moment, $150 seems like a bit much for what is basically a remote notification bar, even if you can track one down. After all, you can grab a good 7-inch tablet for a few dollars more. But as a geek myself, I love the Pebble, warts and all. If you love playing with cutting edge mobile tech and you've got the money to spare, go for it.